Yay! Free coffee! 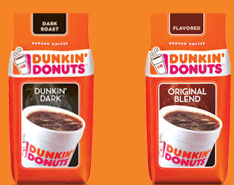 What could be better then a free sample of Dunkin Donuts coffee 🙂 Choose from dark or original blends and your coffee will be on it’s way. Note: This offer has been up before so if you signed up for it in the past you will not be able to sign up again.